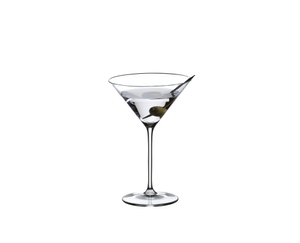 The classic machine-made Cocktail glass of the established glass collection Vinum is the essential glassware for every home bar. This shape is a classic with a unique style all its own. Perfect for presentation of sparkling wines and an alternative to the standard cocktail glass. Vinum glasses have proved to consumers and restaurateurs that the pleasure of consuming wine starts with the glass. All RIEDEL glasses are dishwasher safe.